by APS PRESS, 2017; edited by Edited by Krishna V. Subbarao, R. Michael Davis, Robert L. Gilbertson, and Richard N. Raid. 77 pgs. Provides the most up-to-date and comprehensive resource available on lettuce diseases and pests, as well as their management. It offers solutions to help users identify and manage infectious diseases caused by fungi, bacteria, nematodes, viruses, as well as noninfectious disorders such as air pollution, allelopathy, bolting, mineral deficiencies, toxicities, pesticide related injury, rib blight, tipburn, and many others. 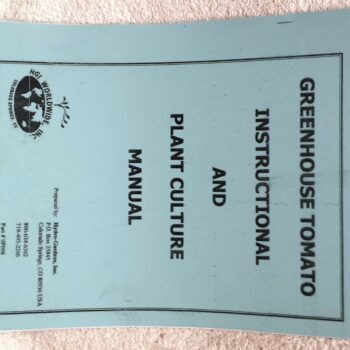 This concise yet comprehensive book is ideal for large and small commercial growing operations, as well as the advisors that serve them, including plant pathologists, entomologists, breeders, seed company personnel, crop production specialists, growers, diagnosticians, students, regulatory personnel, crop consultants, educators, researchers, extension personnel, and others involved in the diagnosis and management of lettuce diseases, pests, and disorders. Nearly 210 images of symptoms caused by diseases, insects, and abiotic agents, enabling growers to visually identify diseases and other pests that affect their crops. Data on the distribution of pathogens and pests of lettuce within the United States and the world, giving users reliable information on geographic trends. Concise descriptions of laboratory techniques to recover pathogens and identify insects, allowing researchers to achieve a higher degree of accuracy in diagnoses. Succinct descriptions of management options for growers, researchers, and extension agents. Information on the causal organisms, disease cycle and epidemiology of each pathogen. Selected references that lead readers to important and relevant literature on each pathogen and pest of lettuce, as well as related crops. Science-based information from top researchers across the world, enabling users to more confidently scout, identify, and manage problems in the field before they become economically significant. 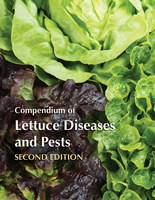 The Compendium of Lettuce Diseases and Pests, Second Edition is divided into four parts titled Infectious Diseases; Arthropod (insect) Pests; Injuries and Abiotic and Noninfectious Diseases and Disorders; and Postharvest Diseases and Disorders. 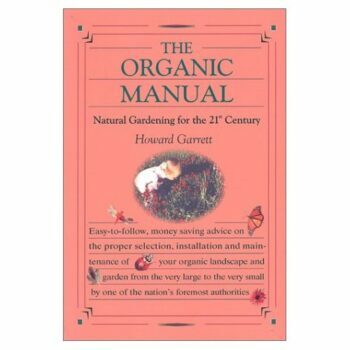 The book also offers useful information on the history of lettuce, evolution of different types of lettuce cultivation, conventional and biotechnological and genomic approaches to lettuce improvement, the food safety issues that have emerged as a major concern for the industry in recent years, and other relevant topics.